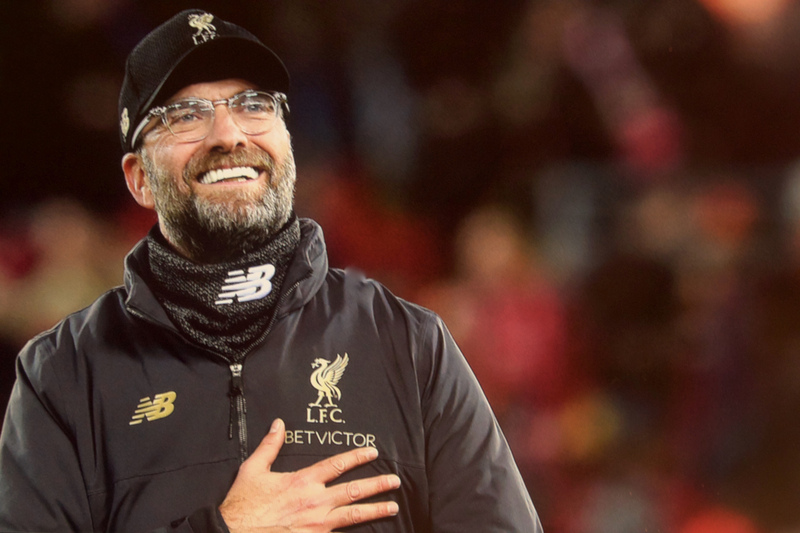 Home Sport Liverpool: Is it their time? This premier league season certainly hasn’t disappointed so far with the sheer amount of quality on display, perfect for the neutral when their team isn’t playing. Up until the end of September and early October four or five teams remained unbeaten and it was a case of waiting to see who would be the first to crack under the pressure. It was then down to three teams – Liverpool, Manchester City and Chelsea – who would keep the unbeaten run going, and it looked a very likely prospect that City were not going to be running away with the league as most expected would be the case given their exploits from last season. With Chelsea being the next to fall, it was then down to Liverpool and City to battle out to be the last team to keep `0` next to their losses tally. As a Liverpool fan, it is great to see us finally putting up a real title fight and not let City dominate the agenda. What was completely unexpected is not that City were next to lose, but to whom they lost to. Losing at home to Crystal Palace is concerning given that they had the home advantage. This certainly sent shockwaves throughout the footballing world, and this was further supplemented by Leicester delivering another defeat for the defending champions. A defeat was more than likely going to occur, but to lose two in a row is not ideal for trying to reclaim the Premier League title. The key for Liverpool is not to get ahead of themselves due to there being some daylight between them and Manchester City. There was a sense of nervousness when playing away at Wolves. In previous seasons, you would definitely expect Liverpool to come up short and struggle to come away with the three points. It’s these sorts of games that you need to win to show championship material. It’s all well and good having a solid record against the top six, but if you fail to beat the teams that are mid-table and are hard to break down, it makes the task of winning the league very demanding. The December period is always demanding with the influx of games to play, thus many see it as the defining point for whoever is in pole position going into this period given Liverpool are the only side that have been top at Christmas to not go on and win the league in the last eight or nine seasons. Coming away with solid wins against Wolves, and then Newcastle, set up another challenge against Arsenal. This fixture is the highest scoring game in the league, and it certainly lived up to its status, coming away with a thrashing 5-1 victory. For me, as a faithful Liverpool fan, I have never seen the way the team has took apart its opponents. For instance, going behind against Arsenal is never usually a good sign, but to reverse the score line by five goals is frightening prospect. What was impressive, more than the Arsenal game you could argue, is the 2-0 victory away at Wolves. They have a very strong record against the top six, recently beating Chelsea and holding Man City to a draw, but to win yet also keep a clean sheet surely sent a message to rivals. The game of the season took place on the 3rd January between Man City and Liverpool. For the away side, it was always going to be tough to come away with the three points. Man City had the advantage given that they had nothing to lose, so they might as well have attacked full-press right from the start as anything else would have put an end to the title race. Yes, Liverpool did lose, and the gap has closed, but the consolation for Liverpool is that they still have a four-point gap at the top, which I don’t think many fans would have turned down leading into the Christmas period. It’s how Liverpool respond to this defeat that is imperative. Man City didn’t deliver any psychological blows. They won, yes, but it wasn’t a thrashing of 3-0 which could have really dented the confidence levels of the Liverpool squad. The pressure is still on City to close the gap, although Liverpool now need to retain focus, learn from their errors and now move on in their quest to win the Premier League.